Honda has increased the prices of all models in its car range, claiming “the market has moved substantially” since January 2014, the last time Honda increased its pricing. As a result the Jazz, CR-V, Civic and HR-V are all slightly more expensive. The entry-level price for the Jazz remains unchanged at £13,495, but the rest of the range has had a price increase of around 2.3 per cent, on average. Increases for the CR-V are smaller in percentage terms at around 1.9 per cent on average. The entry-level 2.0-litre i-VTEC S variant costs £22,770. 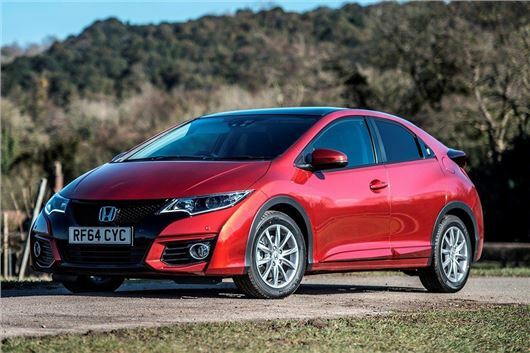 The Civic and Civic Tourer will cost 2.3 per cent more on average, with prices from £16,470 for the 1.4 i-VTEC S. Finally the HR-V will get a price increase of 4.4 per cent on average. The basic 1.5-litre i-VTEC S costs from £18,495, an increase of £500 over the introductory price, set in September 2015. Philip Crossman, Managing Director of Honda UK, commented: “In the wider context we must ensure industry price competitiveness.